The Most Powerful Pawn Shop Platform on the Planet. PawnMate is a complete Pawn Shop POS platform that allows pawn shops, consignment and buy/sell stores manage their complete business from end to end. Both in-store, online and in your marketplaces. The first thing you’ll notice is the simple, responsive and intuitively designed face of the platform. Every thought went into the design to maximize the natural flow of processing transactions. 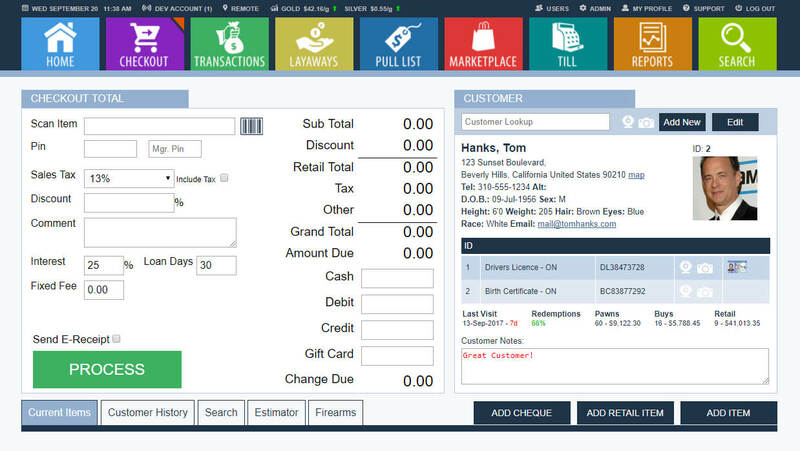 Quickly process Pawns, Buys, Extensions, Redeems, Retail Sales and Layaways all on one screen and without wasting time bouncing from screen to screen and without added pop-up messages. Our in-depth customer relationship management module provides detailed information on customer history where you can quickly see the kind of customer you’re dealing with. Use the free text messaging and email notification alerts to increase your redemption percentage. 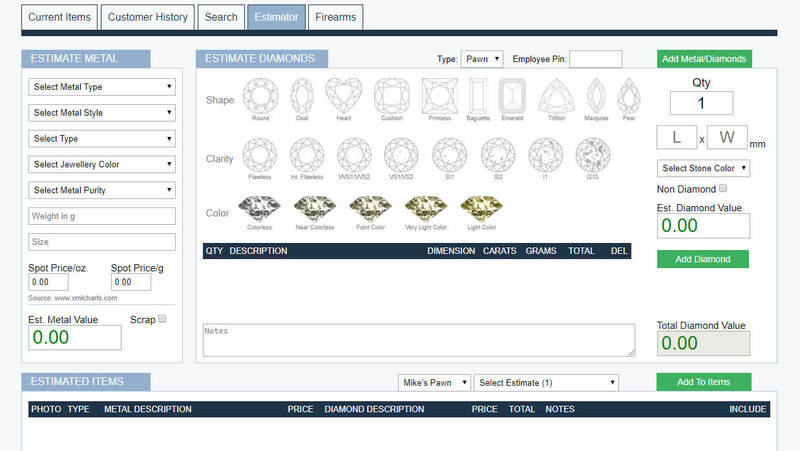 The jewelry estimator and gun pricing tool allow new employees and season ones to estimate jewelry like a pro and on the fly. Save time with same day estimates and streamline your complete pricing. These are just a few of the incredible features that will allow you to process transactions faster, simpler while at the same time reducing expenses, saving time and make more money. 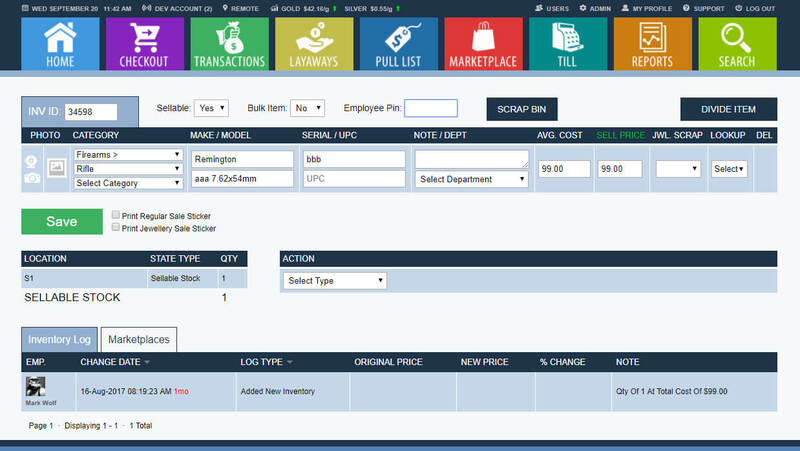 True Unified Inventory will allow you to manage across all sales channels without worry. See your entire inventory with one click, filter by location, channel and more.